HE Space - Raumfahrt ExpertInnen aus Bremen - personnel recruitment with exclusive focus on the space sector - Medien - Videoportal NordWest - Imagefilme und weitere Filmproduktionen aus Bremen, Hannover, Osnabrück, Oldenburg uvm. HE Space is one of the top engineering services companies in the global space sector. We are passionate about people and passionate about space. 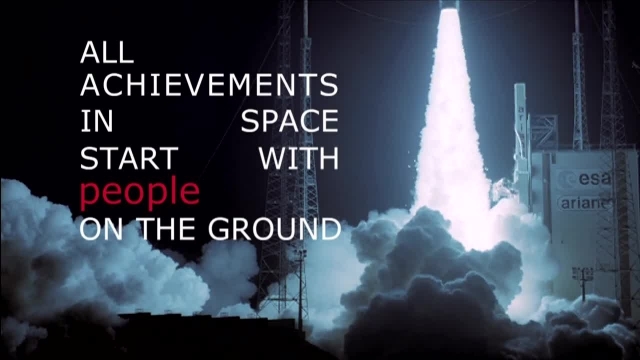 At HE Space, we are passionate about space and passionate about people! We specialize in personnel recruitment with an exclusive focus on the space sector. This makes us one of a kind, since no other engineering services company combines the exclusive focus on space with the broad, international network, which we have built over 30 years. Because of our longstanding experience, HE Space can help to get you where you want to go with your career in space! You can read more about the advantages of choosing HE Space. HE Space has concentrated its activities on supplying space experts to ESA, to EUMETSAT and to the European space industry. Our industry customers include Airbus Defence & Space (formerly EADS-Astrium), Kayser-Threde, Jena-Optronik, SES Astra, TESAT Spacecom, IABG, Spaceopal and Euro Cryospace. Our staff have made significant contributions to many of Europe’s most exciting space projects. Our recruitment team is the best in the business at seeking out highly educated and motivated professionals due to the fact that most have worked in the space industry themselves. We set ourselves apart from other engineering services companies by combining human resources competences with technical expertise. Our experienced staff originate from all over the world and possess a wide range of capabilities in engineering, science and general support.